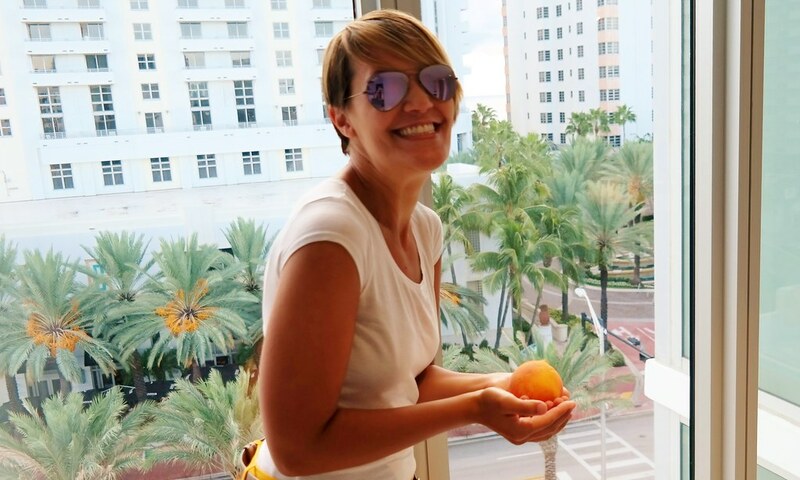 Remember back in August when I told you I was going to start a new post category where I would write about mail-order foods from all over this beautiful country of ours? 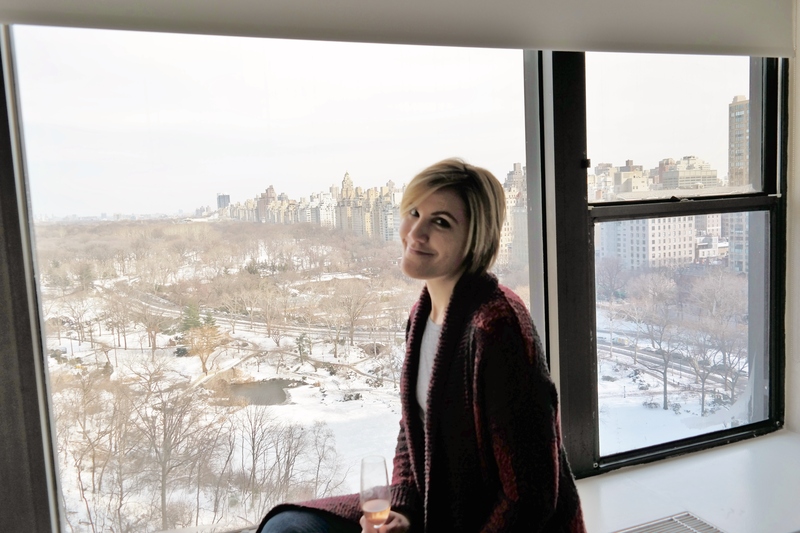 Remember how I’ve only actually written that one post and then sort of left you hanging? One day I will claim defeat and cry that there is nothing to blog about. However, right now, that is not the case. I want to be true to my word, because the truth and nothing but the truth is what you’ll always get from me. 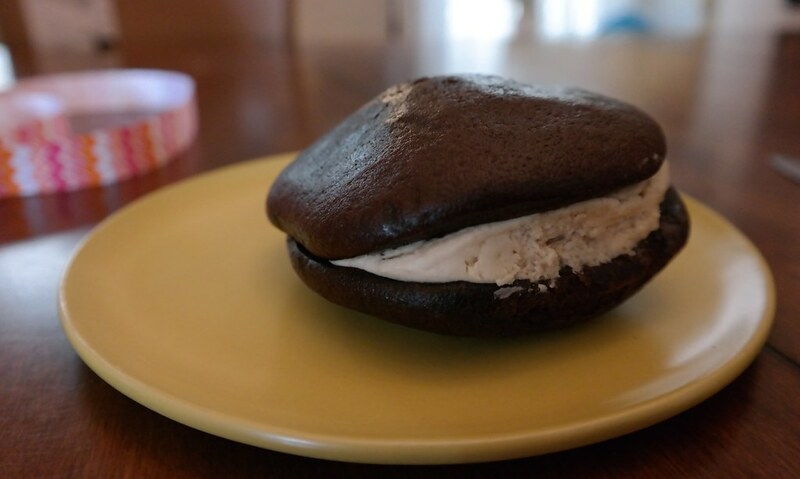 Even though I tasted the sweet delight of whoopie pies sent from Maine months ago, I think you deserve to hear about them as if it were yesterday. First of all, I love love love the name. 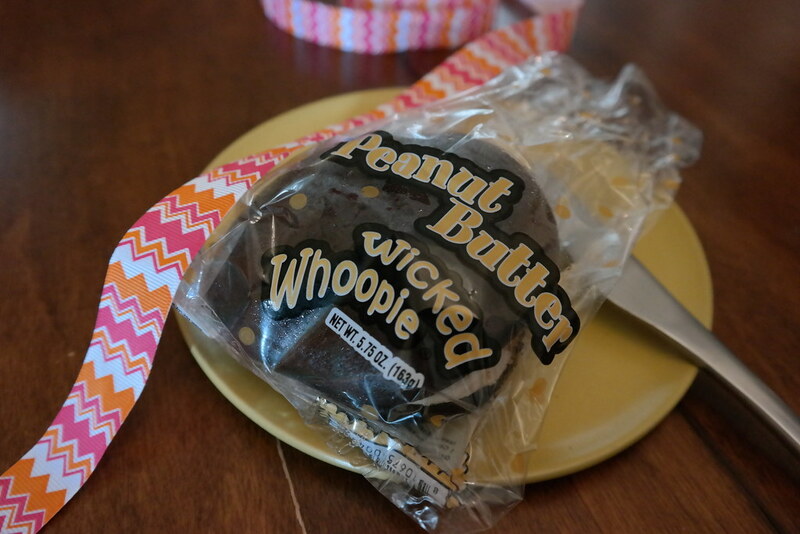 Wicked Whoopies started as most small food businesses do—in a home kitchen. You can read more about their humble beginnings here. It soon transformed into a commercial bakery which includes two retail shops and the mail-order company that it is today. How cute is their packaging? It’s little things like colorful bows and blue tissue paper that make receiving packages like this so exciting. 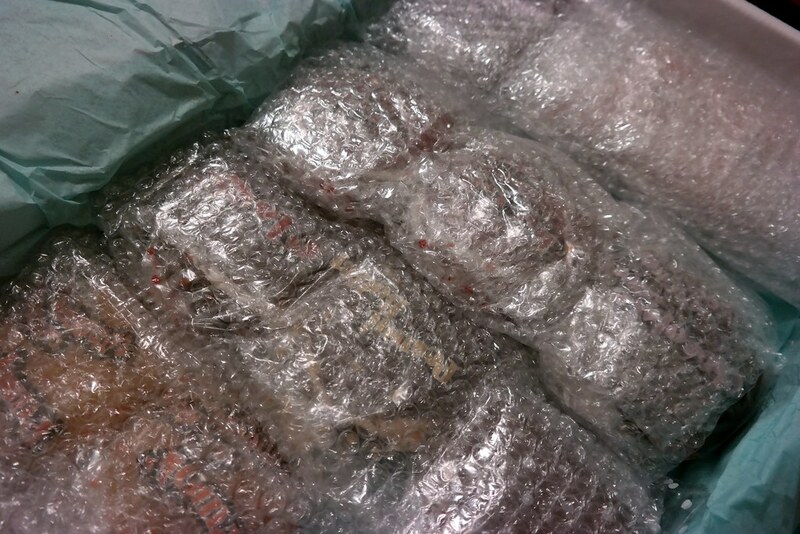 In the practical packaging department, all cuteness aside, I was impressed with the thoroughness of their packing system. 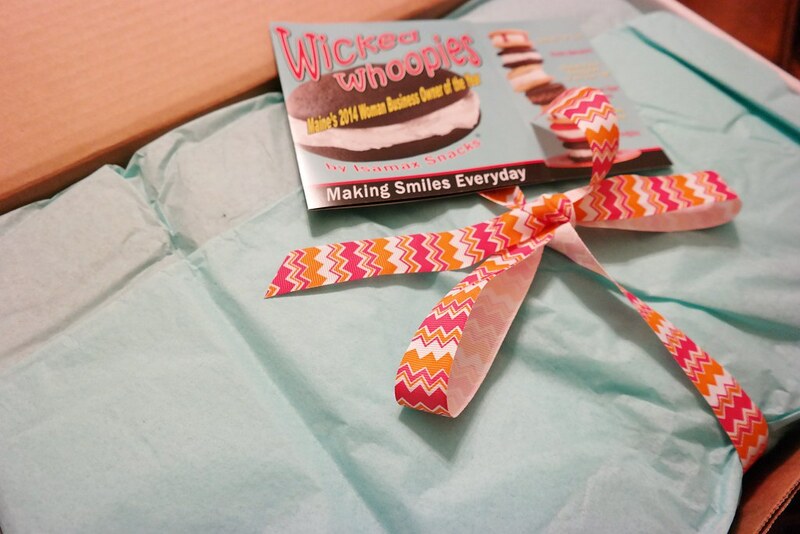 Not only is each whoopie individually wrapped, but they are also individually wrapped in bubble wrap to ensure their safety. I got a little carried away when I placed my order. I could have ordered a classic variety pack for $35 which includes (3) classic, (3) peanut butter, (3) chocolate chip, and (8) classic minis, but that seemed too basic for me. I also could have ordered a dozen of one flavor for $26, but again, too basic. 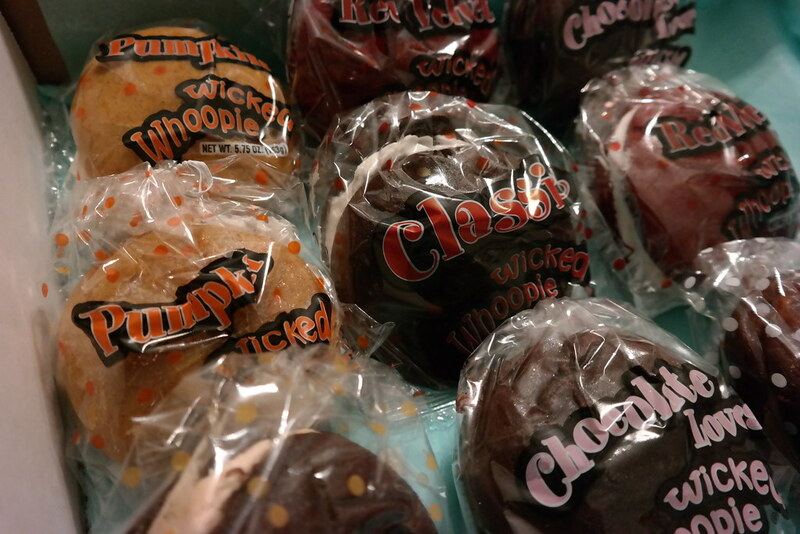 I went with the custom flavor variety pack for $30 where I was able to hand select the flavors of whoopie pies that would be included in my box. What is a Whoop-de-Doo? 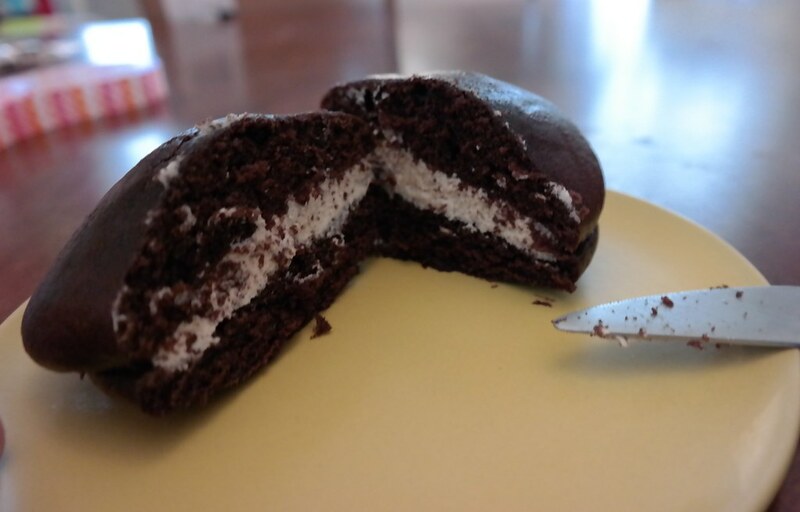 Only the best whoopie pie invention yet–a classic mini whoopie pie dipped in chocolate. 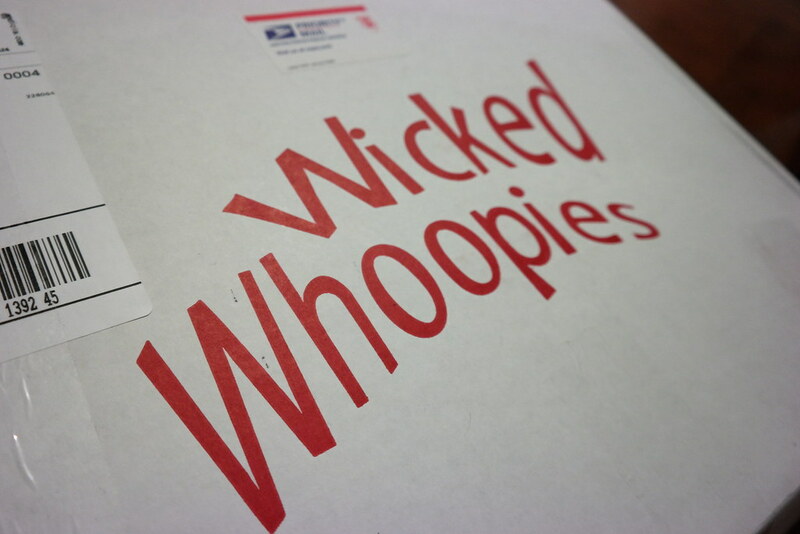 I wish I had ordered a box of Whoop-de-Doo’s alone! 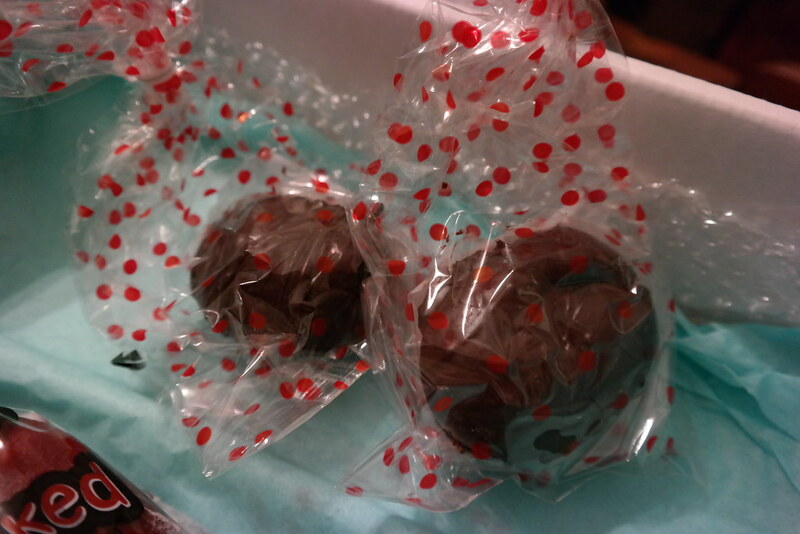 You might think that the quality of mail-order cakes would be lacking, yet each whoopie I tried tasted as fresh as if it had been made the morning I enjoyed it. The cake was moist and spongy, while the cream was still smooth and creamy. I think, aside from the Whoop-de-Doo, my favorite was the peanut butter. I almost didn’t order it because Lance hates anything peanut butter flavored, but then I decided I needed to. I had to order the peanut butter flavor so that I would be able to tell you whether it was worth it or not. Because I like nothing but the straight up honest to God truth, I have to confess that despite how much I enjoyed not only the variety of flavors, but the packaging and uniqueness of this company, it may be some time before I order again from Wicked Whoopies. The only, ONLY, reason is that we have the hands down best whoopie pies I have ever eaten in my life just a little over an hour away in Lancaster, PA. My friend, Christine, introduced me to Bird-in-Hand bakery several years ago and no other whoopie pie has been able to live up to the standards of their three basic flavors: classic, peanut butter and red velvet. 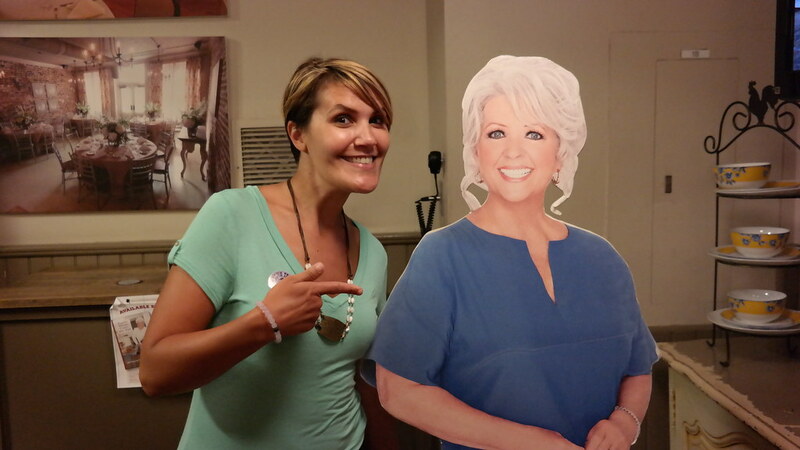 But when I have a hankering for a Whoop-de-doo, or one of their other wicked flavors, you know who I’ll be calling.